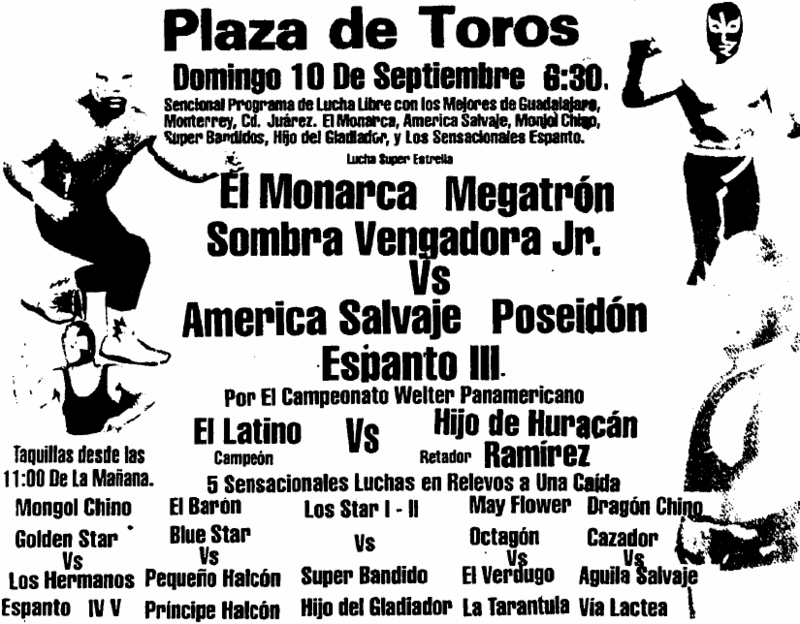 I added 1989 lucha libre lineups, mostly from the cities Torreon and Gomez Palacio, to the luchadb database over the last week. They’re integrated the different pages of this site, and they’re also just available here. I think this is the first one of these which isn’t bigger than the last one. This is a slow continuing project to mine the El Siglo de Torreon archive for lucha lineups and results. These results have been in there for days now, but I’m just getting around to doing this post. That’s 820 events found, most of which weren’t in any database any more. I really should go back to the 60s magazines, but it’s really tempting to start on the 90s. It’s going to be while before I get anything done on this score, either way. I didn’t capture a lot of luchador notes – it’s much the same as the past few years, with UWA and EMLL people coming it at decent amount. One thing did stick out: an Octagon is working the early matches of cards this year. It fits the time when the famous Octagon would’ve taken the name, but it’s strange to see him out in Torreon in a non-star position. It’s Mexico, so there is definitely a history of people using the same name in difference places at the same time; a different luchador had a long career in Torreon as “Averno“, dating back to before CMLL came up with the name. At this point, El Siglo de Torreon is carrying two different lucha libre columns. Neither appears to have a set schedule, but it’s more that they can appear multiple times a week than not at all. 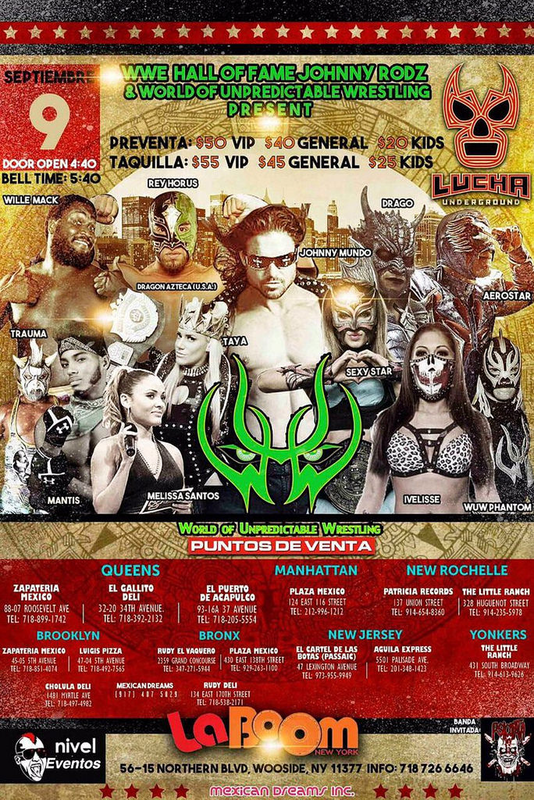 Tercera Caida writes about the local scene, while Los Superdioses de la lucha starts as a history column and then transitions into a Mexico City based current events bit. It’s a syndicated column from El Universal, which makes me think there might be a lot of lucha libre coverage there if their archives went back more than 1999. (They’ve digitized all their issues too, but it’s not public like El Siglo de Torreon) It’s also running on a bit of delay in Torreon, with lines like “today, Sunday” running in articles that don’t show up until seven days later. Jerry Estrada vs Stuka is mentioned as local match of the year in a recap of 1988 in lucha libre. 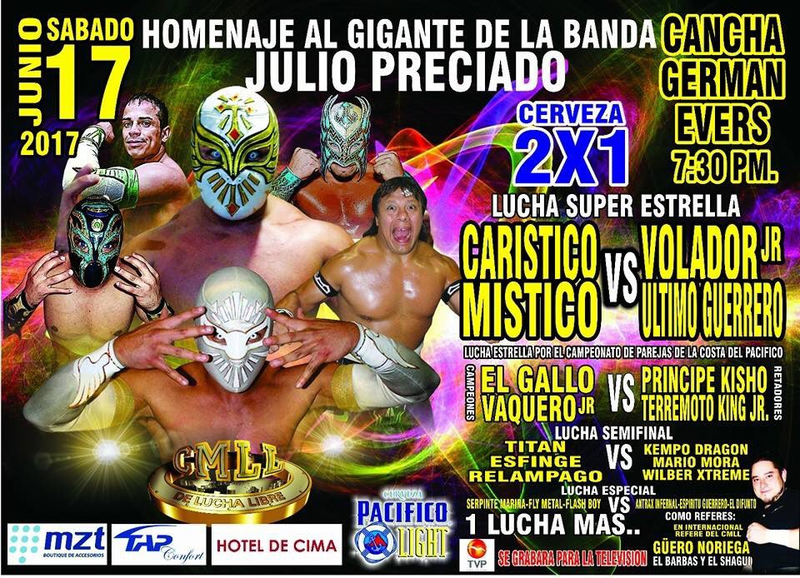 Pequeno Halcon, Caballero Halcon and Principe Halcon hope to wrestle around Mexico. Principe Halcon & Pequeno Halcon talk about being a team. The Box Y Lucha commissions seems to be overcharging for phyiscals, and keeping the money for themselves. 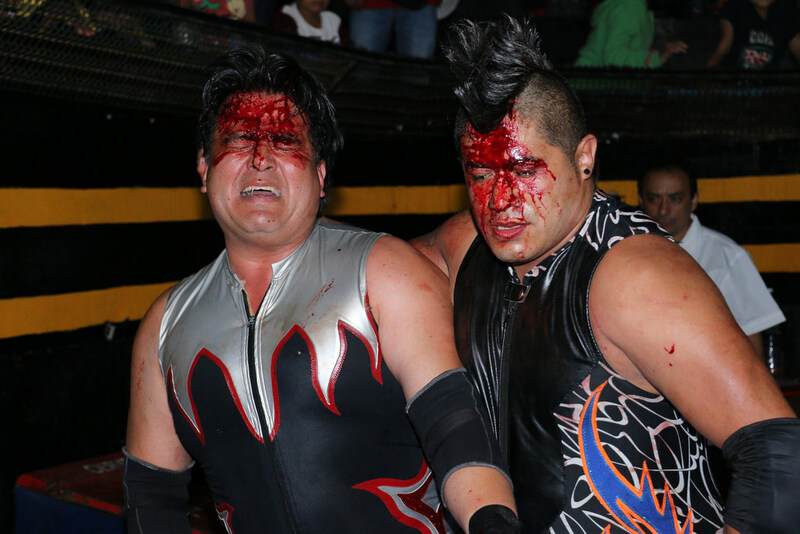 In Mexico City, Satanico & Sangre Chicana have a crazy Friday night brawl in Arena Coliseo and are suspended for it. (That appears to be this match.) The article makes it clear these two were just the ones being punished for a run of these sort of incidents. Tinieblas Jr. debuts on the Las Aventuras de Capulina kids show. An interview with local trios champions Los Diabolicos. Aguila Solitaria attempts to dedicate a title win over Fuerza Guerrero in Oaxaca to a young boy. Except, he goes to a draw. A one, two three part interview with Chivo Garcia, the father of long time California luchadors Kayam & Engima de Oro. Pantera del Ring & Caballero Halcon are praised as the best local wrestlers, but Pantera del Ring will really go places if he wrestled cleanly. A brief profile on Chamaco Valaguez, his career currently derailed by injuries. Praise for “Bing Ban Vader“, who’s in demand. Later, there’s a recap of his UWA title win and one about him and fellow foreigner Faboluso Blondie being champions. Killer vows to send Enrique Vera to the hospital. Justin Lyger is coming, and they’re hoping he’ll be as good as Vader. They’re both masked foreigners you see. Monterrey’s Carlos Elizoando will promote in the Auditorio in 1989, though there’s rumors of problems when he last promoted. Local promoter Gonzalo Gomez is later mentioned as representing him in Mexico. Gomez had been promoting in years, so this is more just formalizing a Monterrey/Torreon alliance that had been there all along. Genaro Calderon Rocha talks about building a lucha libre arena, then starts at it about 10 days later. Gran Markus is upset about the union not doing enough to help him. An actual picture of the Coahuila Light Heavyweight Championship; this is the first time I can think of that someone’s actually taken a photo of a title belt. Hype for Perro Aguayo & Ringo Mendoza facing the Rangers on November 12, 1989 in an apuesta match. We have that match not happening until March 1991. Espanto Jr. trashes Kendo Star, says he should go back to the openers.